TBI Unlimited implements the usage of quality products in conjuntion with effective planning in order to meet & surpass your drainage needs. 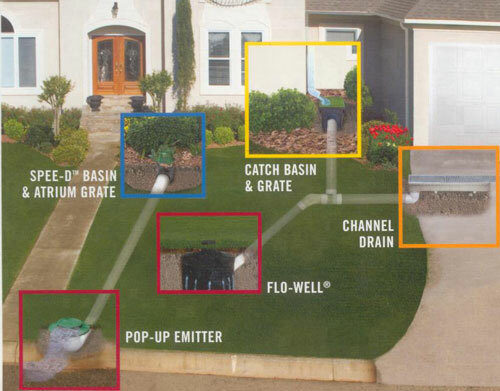 We use high quality products from ADS and NDS , as well as other manufacturers to design and build a drainage system to flow with your needs. Below are some common problems, and solutions that we may be able to help you with. 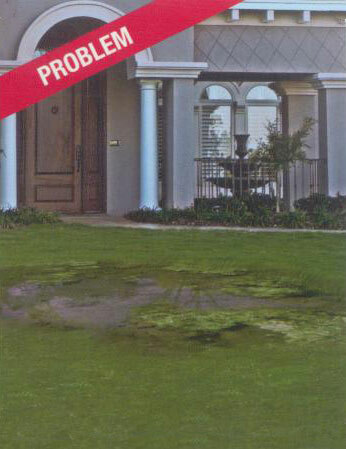 Problem: Low spots in your lawn with standing water can create muddy areas, as well as serve as a breeding ground for misquitos and other insects. 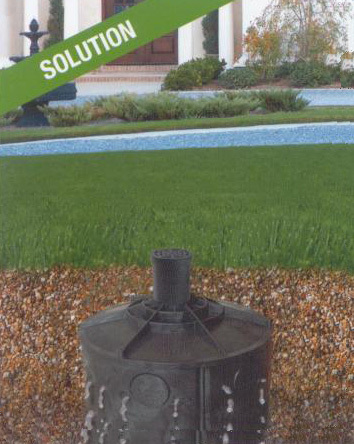 Solution: A Flow-Well will capture water and gradually allow it to safely leach back into the soil underground. 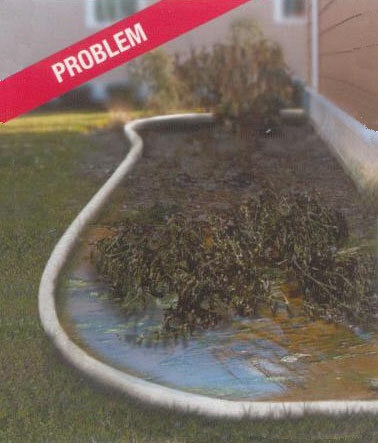 Problem: Excess water in landscape planting beds can drown plants and flowers, as well as promote growth of mold. 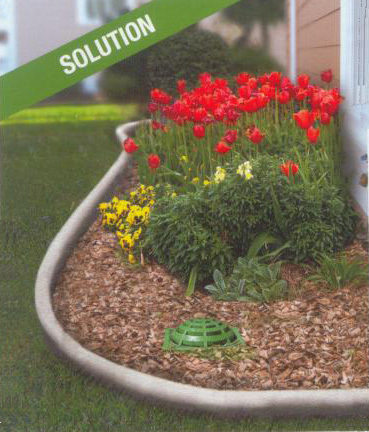 Solution: Catch Basins topped with Atrium Grates will remove excess water without removing mulch from within bed. Problem: Without proper drainage, water from downspouts can erode soil, and planting beds, as well as promote cracks in foundation & basement walls. 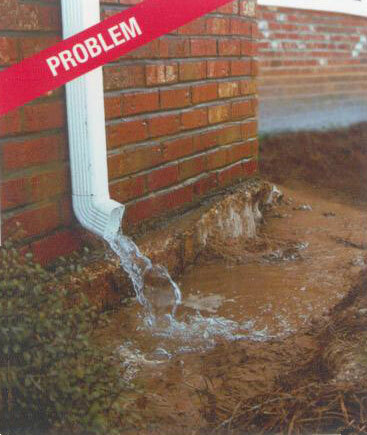 Water that enters the home or business will promote mold growth. 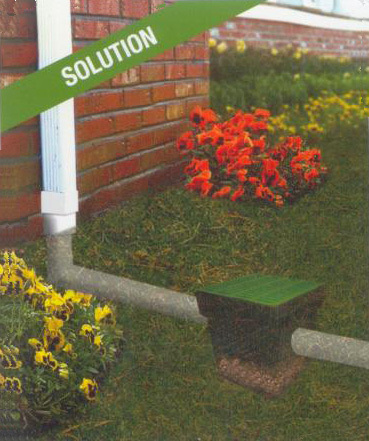 Solution: Directing water from a downspout through a catch basin prevents the clogging of your drainage system by debris from the roof. 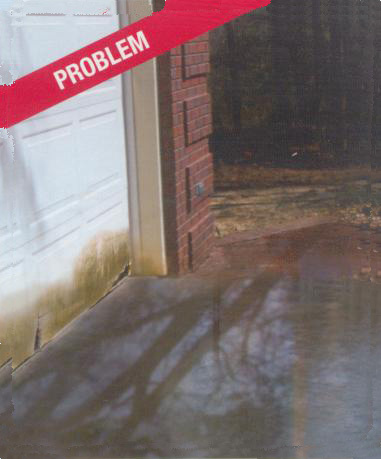 Problem: Excess water from driveways, walks, or yard may create a wet, slippery surface near doors. 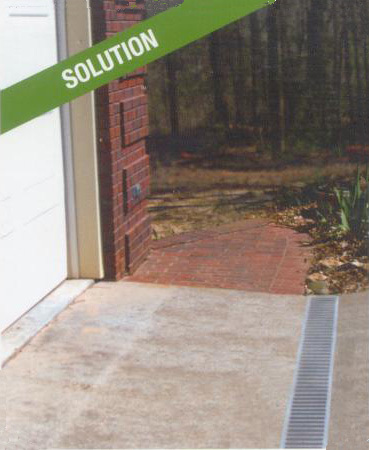 Solution: Channel Drains with grates remove sheets of water from areas near exterior doors, and garage doors.